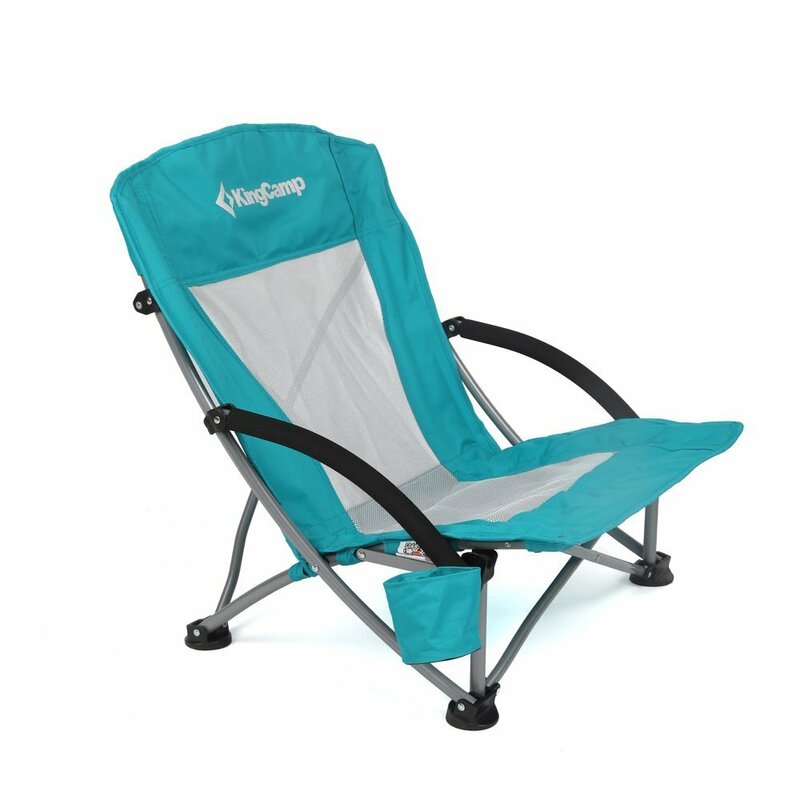 This is the summary of consumer reviews for Extra Large - High Seat Heavy Duty 4 Position Beach Chair w/Drink Holder. The BoolPool rating for this product is Very Good, with 4.20 stars, and the price range is $77.00-$84.00. 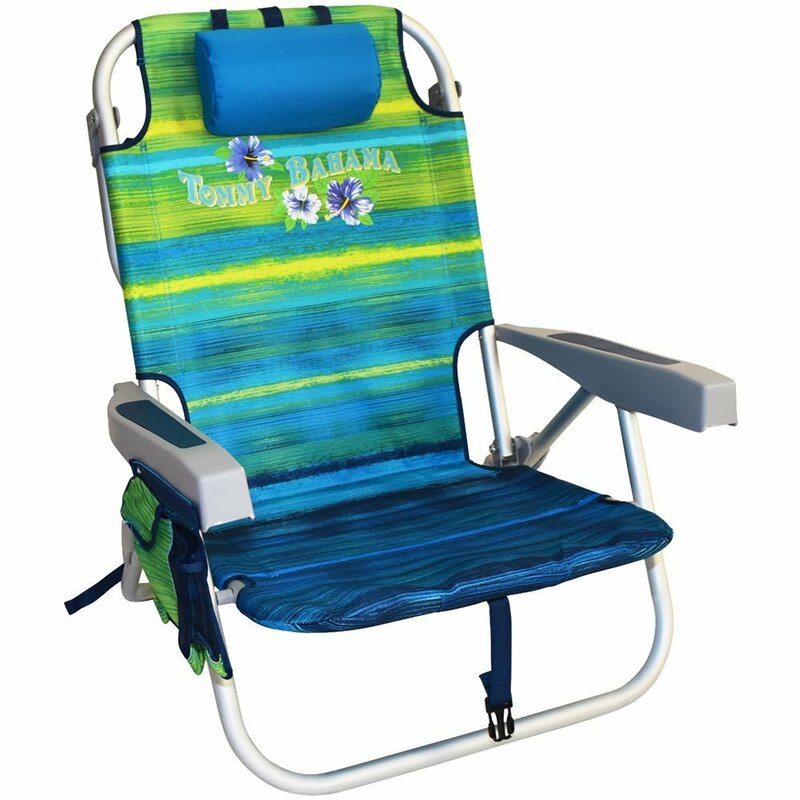 The Extra Large - High Seat Heavy Duty 4 Position Beach Chair w/Drink Holder is a beach chair that sits high and includes a drink holder, headrest, and a pouch for storing items. 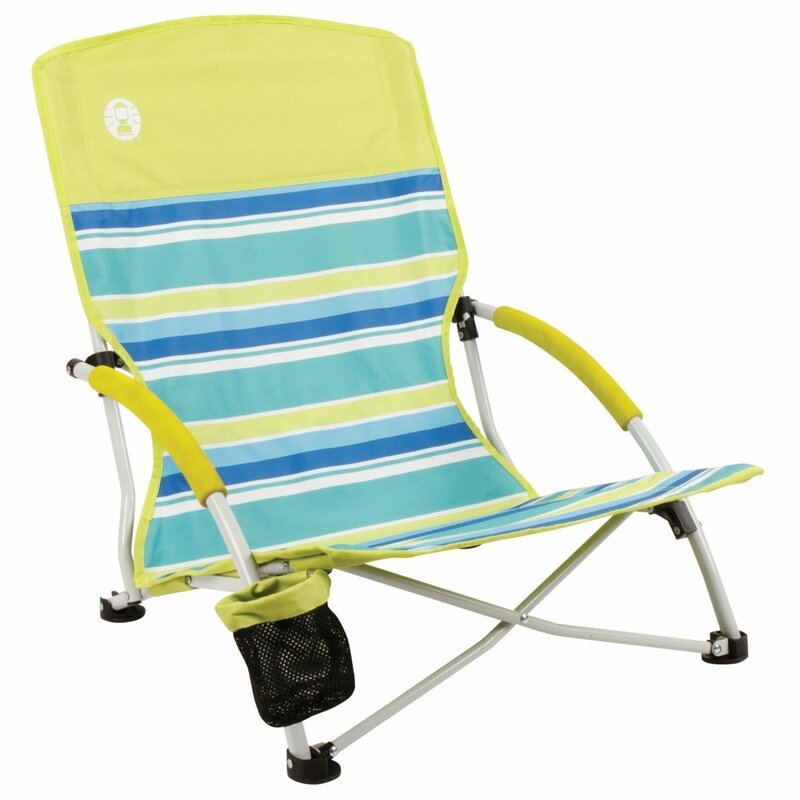 The Extra Large - High Seat Heavy Duty 4 Position Beach Chair w/Drink Holder conquers many pernicious problems associated with a day at the beach. 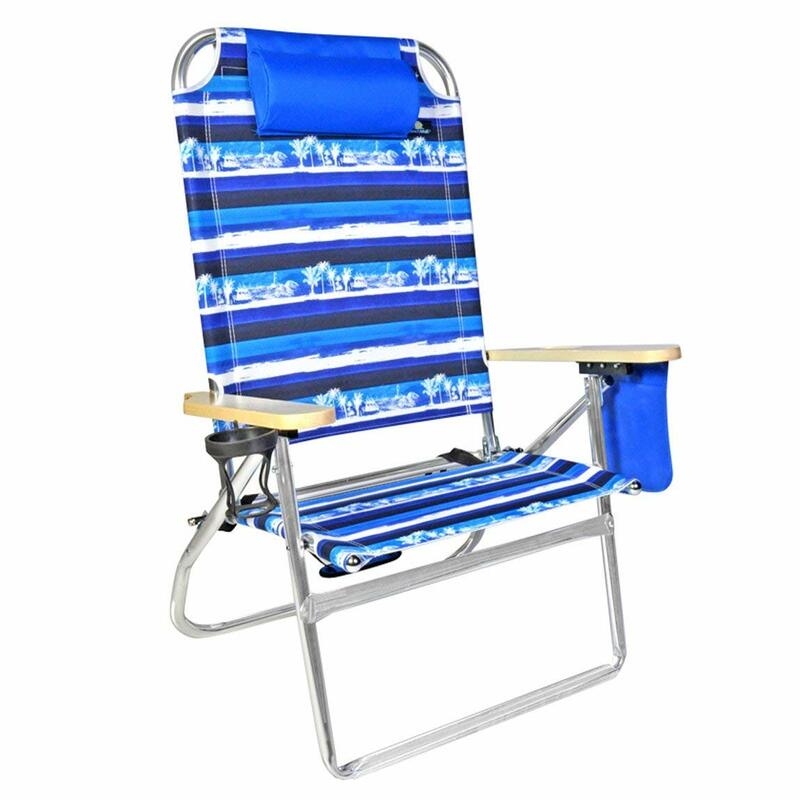 It’s height sits one above the sand and wide sturdy frame can support the largest and smallest of beachgoers. The drink holder and pouch provide a good refuge for your drink, cell phone, book, or other items that come with you to the beach. 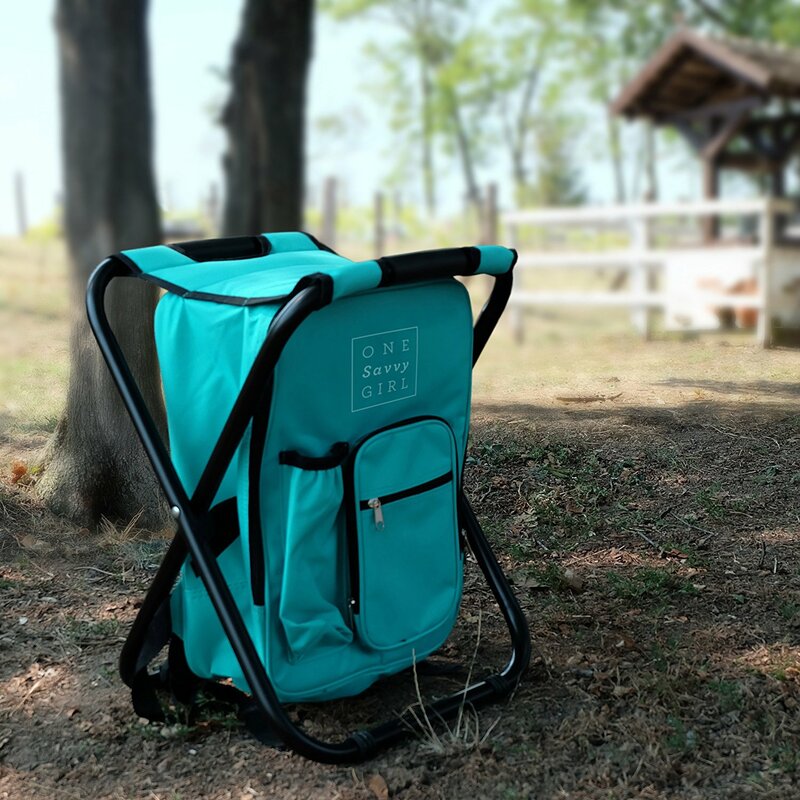 Carrying it to and from the beach is easy with its lightweight and handy carrying strap. Some customers, however, took issue with the strength and durability of the cup holder and others with the cost associated with the purchase. It cannot fully recline either which many sunbathers find useful. 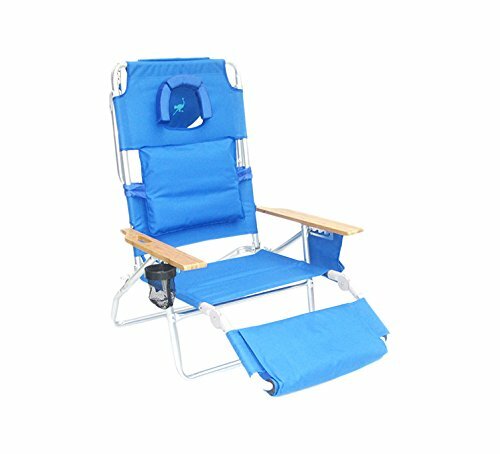 In summation, the Extra Large - High Seat Heavy Duty 4 Position Beach Chair w/Drink Holder satisfied the beach going needs of most customers. Well built and at a comfortable seat height for enjoying a day at the beach. Well built, comfortable, but light enough to carry. Very disappointed in this purchase....advertised as a high chair, but sat very low...armrests very thin and sharp edges...not comfortable to sit in at all and I'm much below the legal weight...definately not worth the money...."hope to be able to return and purchase something much better. Large enough, for a big man, and has cup holder, phone holder, and carrying strap. Nice beach chair -- very happy with it. Nice for an old "fluffy" lady!. Nice chair, I'll purchase another one as my Vega Plus Beach Chaise/Lounger broke. It was exactly what I needed...a higher seat. But, like some other reviews cup and book holder fall out way to easily. Large enough for a big man, and has cup holder, phone holder, and carrying strap. A little heavier than your average chair but much wider and higher off the ground than the average chair. Very nice chair for the money. My husband is tall and weighs 260 lbs. my husband is over 225 lbs. Love that it's higher than a sand chair. He's very comfortable in the chair. 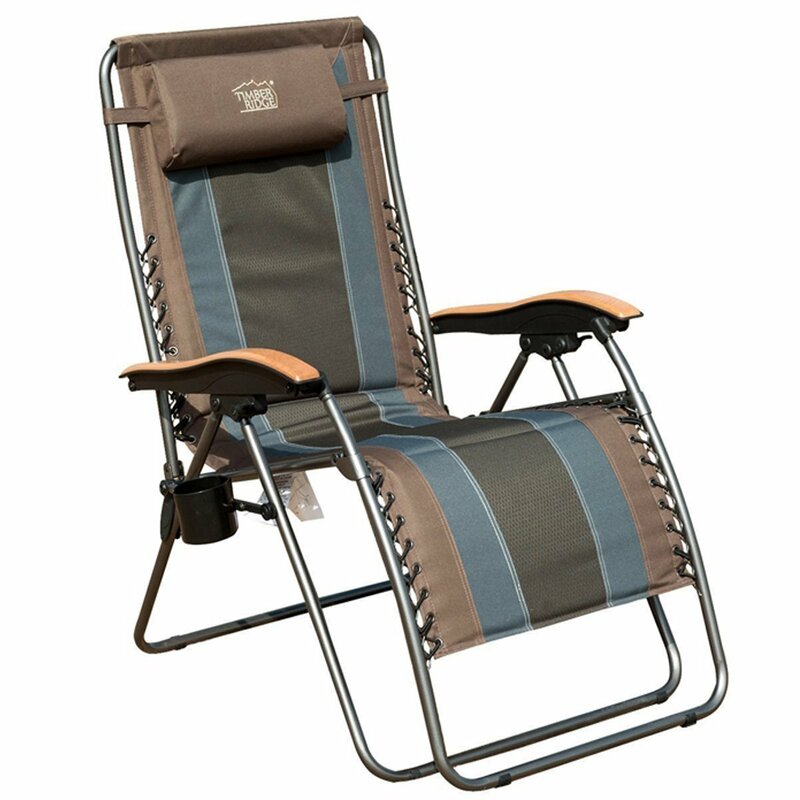 At 6-2 and 255# this chair is comfortable and easy to get in & out of even in the sand. Very happy with this tall beach chair. Just doesn't recline to lay flat. Very sturdy and at a good height for getting up and down. Chair is very comfortable and sturdy. They're light weight and sturdy! 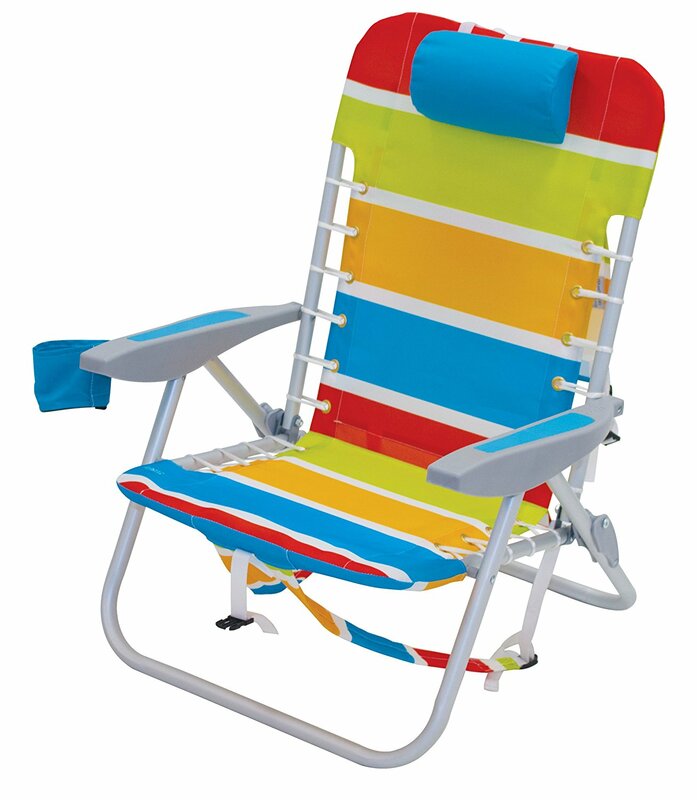 Sturdy, taller beach chair so light. A bit large but sturdy and high off ground. It's ok. Less sturdy and lower to the ground than I thought. I'm a heavier individual, and it's sturdy. A good balance of sturdiness to weight and SO much easier for old knees to get in and out of than a standard beach chair. I'm very fussy and I love this chair. This's a comfortable chair and seems to hold up well, and I loved the pouch on the back of the seat because it was perfect for holding my book!. Very comfortable and a perfect height for the beach. Love the wide seat, the cup holder and pouch under the front of the seat (great for keeping sunscreen handy). Cup holder a little flimsy. even has a handy drink holder on the right arm rest and can hold your phone and such on the left armrest. Haven't used it enough to speak to it's durability, but for the price, it should hold up, right?. Chair is comfortable but is awkward to carry. Only used it once, but it was comfortable. I purchased this chair for my mother for a beach trip because she has a hard time getting out of low chairs. 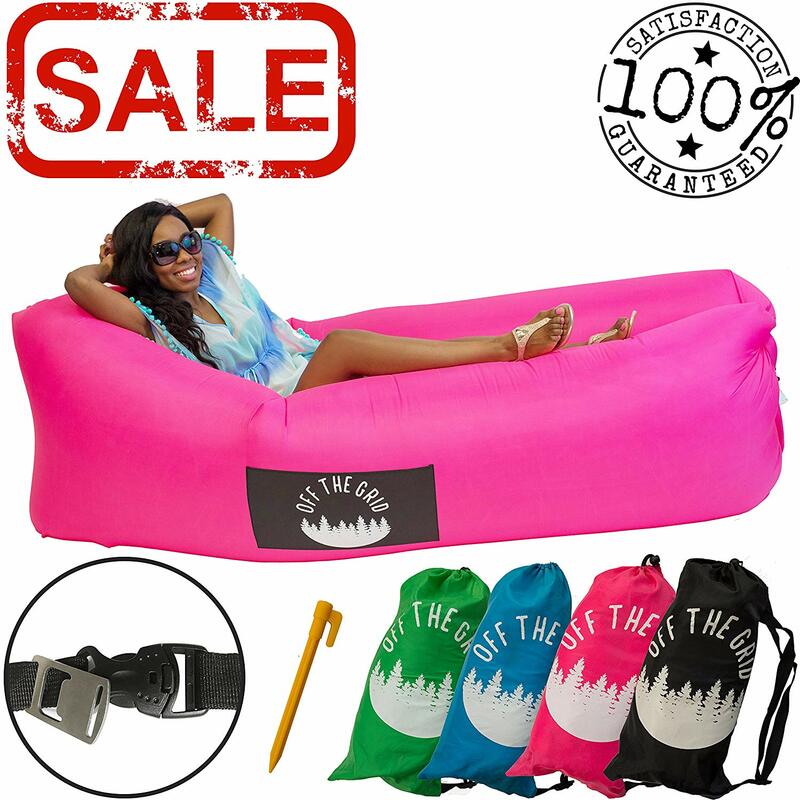 Good quality, not too low to the ground and very comfortable. Easy in and out, light and easy to carry. Very poor quality for the price. Comfortable seats and higher than most beach chairs which makes it easy to get out of. Chairs were the perfect size but I they only lasted 1 season, definitely not heavy duty as advertised. Nice pocket under the seat for cell phone, cup holder for drinks under the chair's arm. I'd recommend this beach chair for plus size folks! I received the chair in a short amount of time and have been using ever since. I purchased this chair for my mother for a beach trip as she's a hard time getting out of the low chairs.